Most people have no idea what they can accomplish until they actually give it a try. If you have had visions of installing your own hardwood floor, then give yourself a chance at making your ideas come to life. No one really knows what kind of results you want with your projects, which is why the DIY approach is so popular. But before you dive into the world of do-it-yourself projects, there are some safety tips you should follow. If you have never used a particular power tool before, then do some research to find out how to safely use it before you give it a go on your own. All tools can be dangerous if improperly used and you can avoid these kinds of issues by spending a little time online learning how your new tool works. The surest way to get yourself hurt on your first DIY project is to try something that is well beyond your abilities. Being a DIY-er is like anything else in that you build up skill as you go along. Start out with small projects and work your way up to larger challenges. If you are applying tar to a roof, then wear gloves to protect your hands. 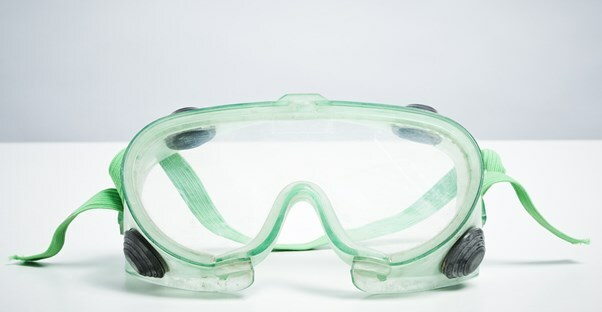 If you are removing a concrete patio, then wear goggles to protect your eyes. Sometimes good safety habits are just common sense solutions to obvious issues. Before you start a project, think of what needs to be done to keep yourself safe. A good way to protect yourself from the challenges of DIY projects is to take a class at your local junior college or home improvement store. Check around to see who is offering home improvement safety classes and be the first in line. As a DIY-er, you rely on the information that is available to stay safe. Before you start a project, read all of the instructions that come with the materials you will be using to make sure that you have everything under control. As you are reading the instructions from the materials for your next project, you may notice that the instructions recommend using a special tool for safe installation. The time it takes to go out and purchase that tool is much better than spending time in an emergency room, or spending time redoing the project from the beginning. No matter how safe you are, things can still happen. Have a first aid kit on hand to help deal with any DIY emergencies. Having a work partner can make the job go quicker and it also makes the project safer. When you are 15 feet off the ground on a ladder trying to paint your home, it is always a good idea to have a person holding the ladder and helping you out. Improperly maintained tools can become dangerous weapons to an inexperienced DIY-er. Always check your tools before you use them and take care of any tool maintenance issues immediately. Clean your work area after each stage of your project to remove obstacles that can become tripping hazards, or worse.